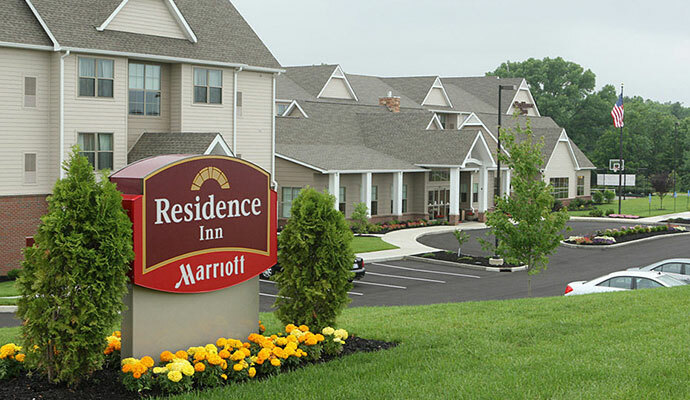 Residence Inn Columbus is an 83-room all-suite extended-stay hotel in Columbus, Indiana. The hotel is only 3 miles from downtown Columbus, which is famous for its architecture, and features a number of locally owned restaurants and great hiking and biking areas. The suites at our Residence Inn offer many of the comforts of home, including full kitchens, as well as seperate areas for sleeping, working, eating and relaxing. The hotel also includes a complimentary full hot breakfast served daily, free high-speed Wi-Fi, an indoor pool with a hot tub, a fitness center, and a 540 square-foot meeting room. Residence Inn Columbus is a pet-friendly hotel.